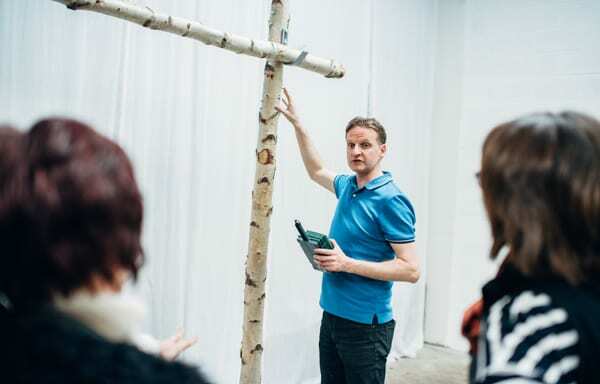 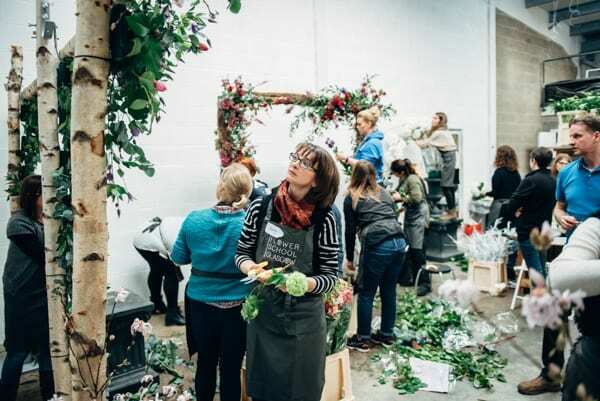 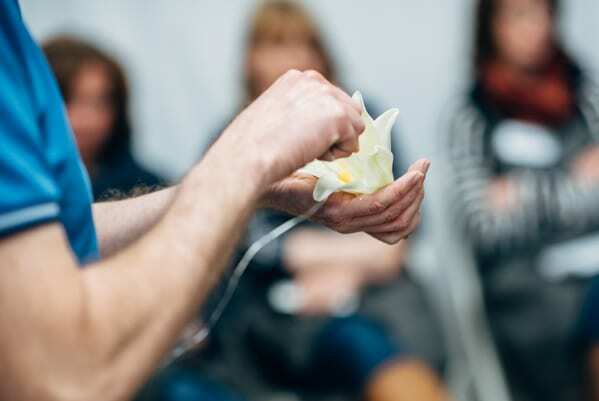 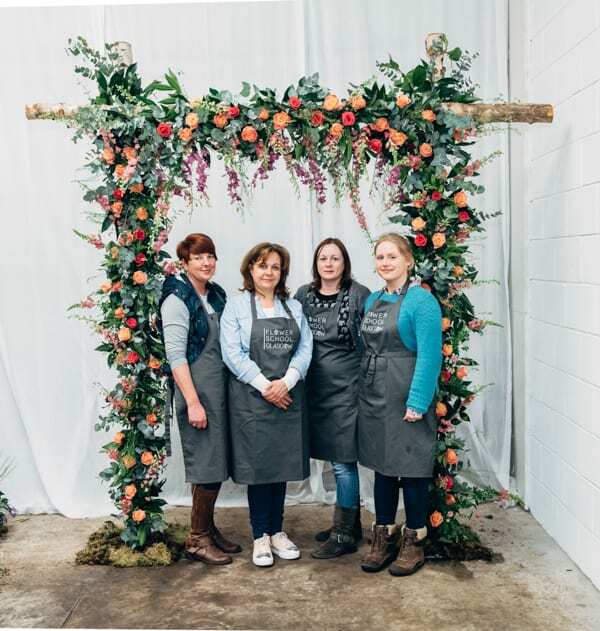 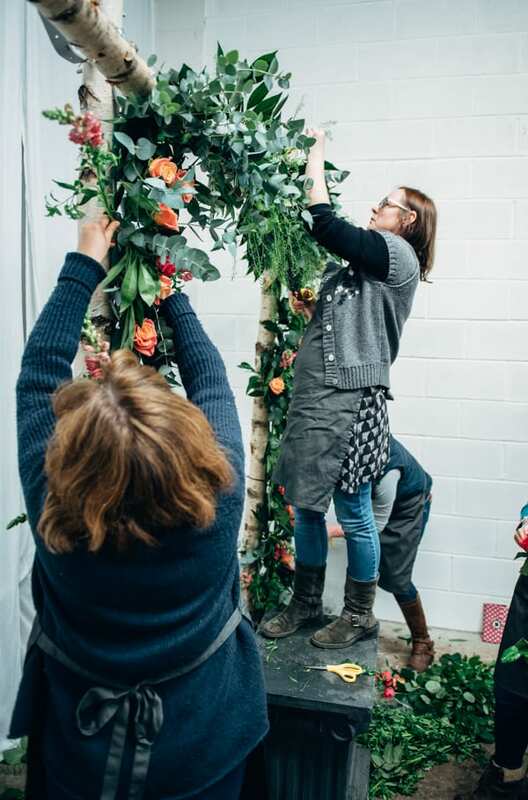 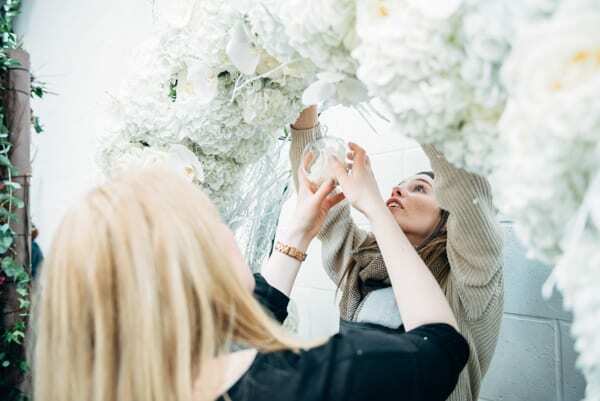 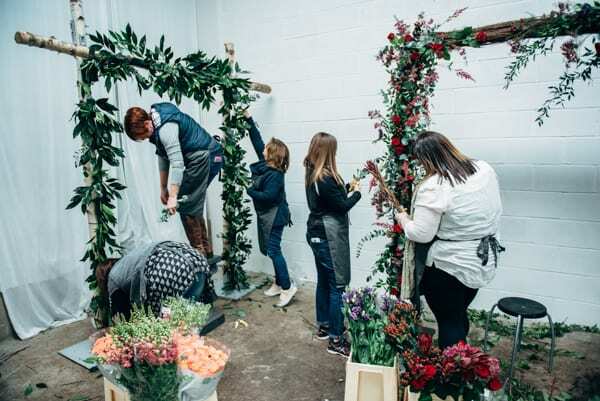 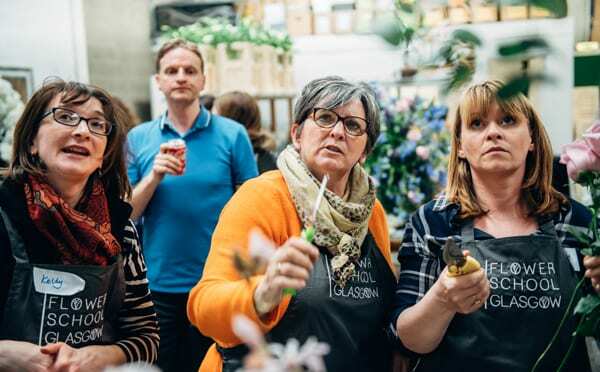 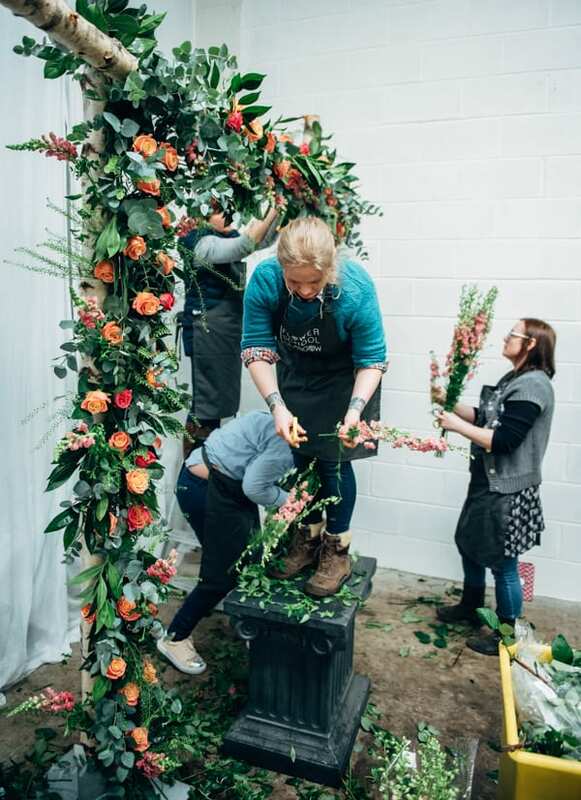 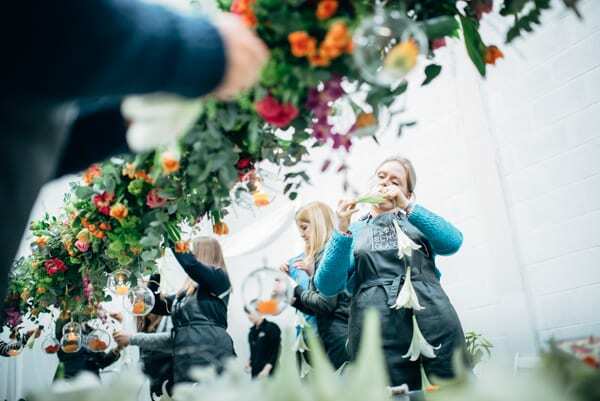 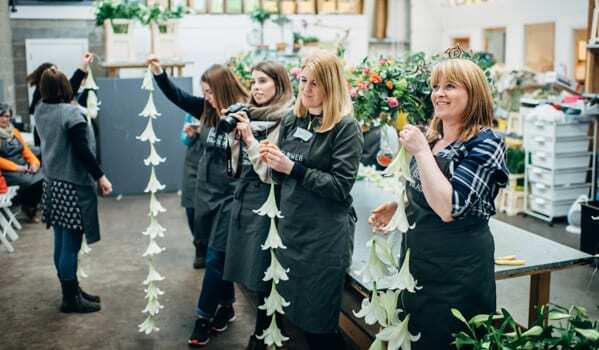 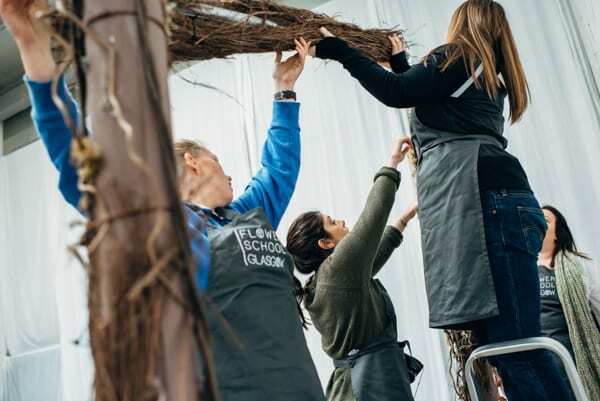 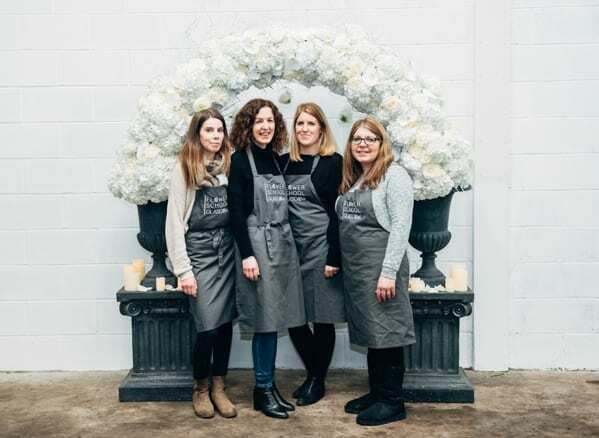 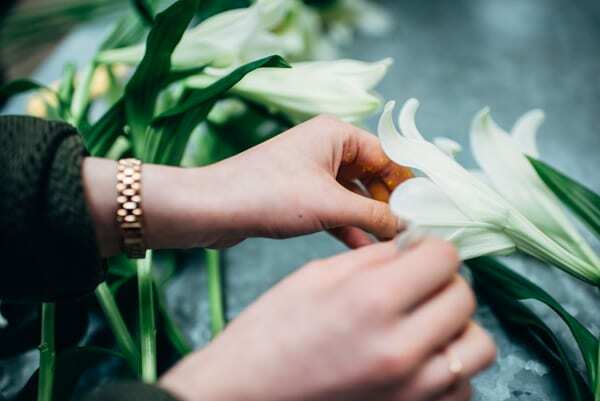 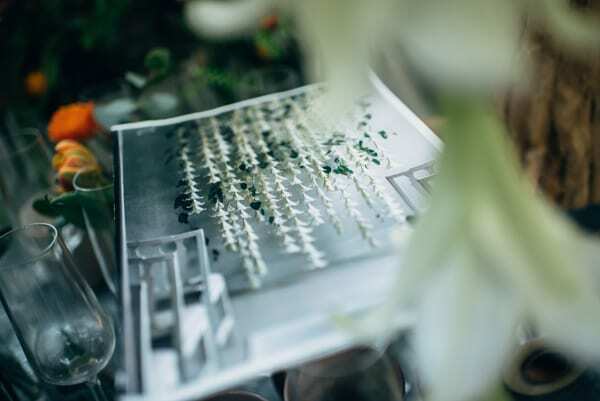 I hope you enjoyed last week’s Wedding Wednesday blog post, where I featured Part 1 of the Flower School Glasgow’s Large Structures Course. 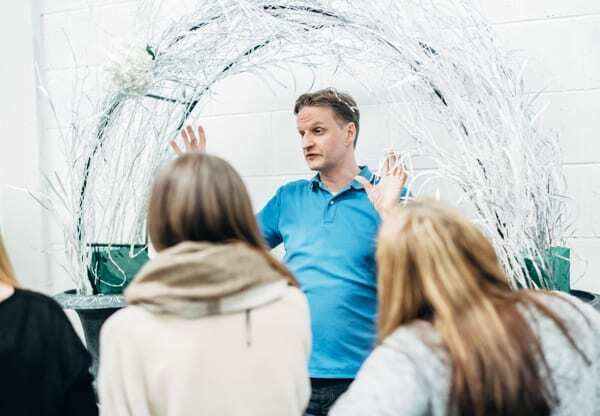 We return to the course this week with the designs which the students made in the afternoon. 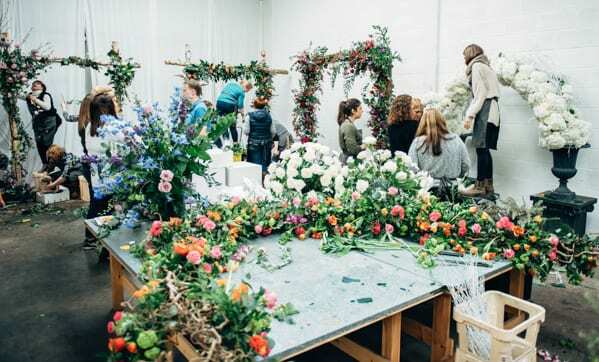 First on the agenda was the creation of a lily curtain, which would be perfect as a backdrop at a wedding ceremony. 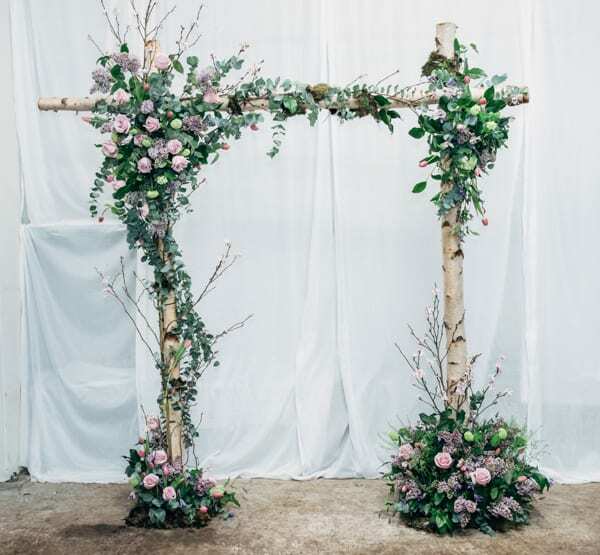 The curtain was inspired by a design made by Naomi de Mañana, Senior Style Editor for Martha Stewart Weddings, which you can see below. 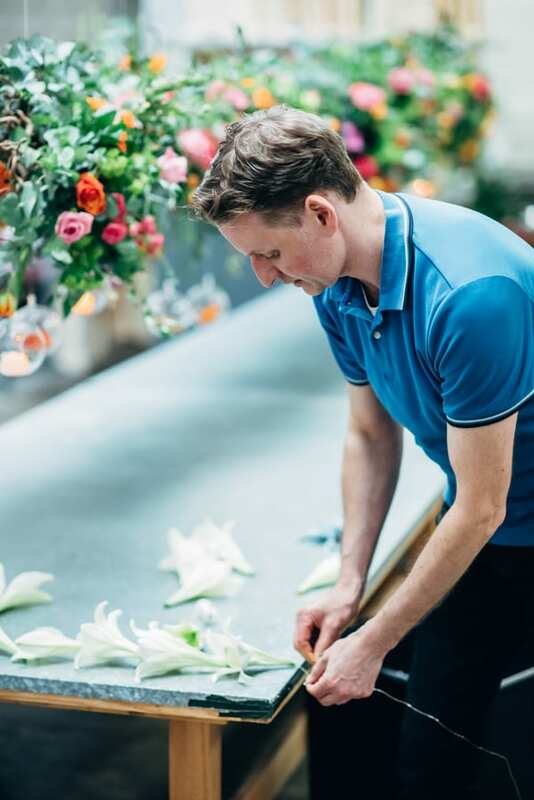 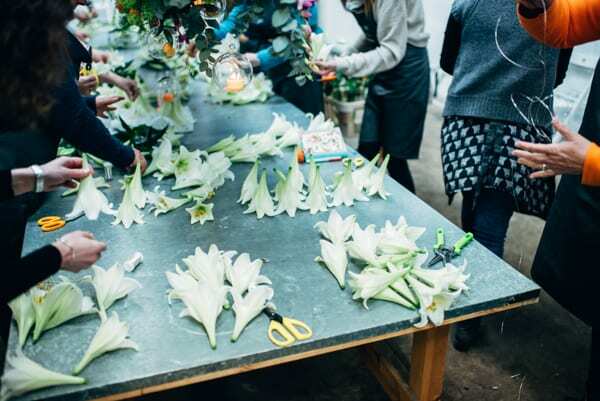 Using fully opened lilies, Nick showed us how to make an individual strand for the curtain. 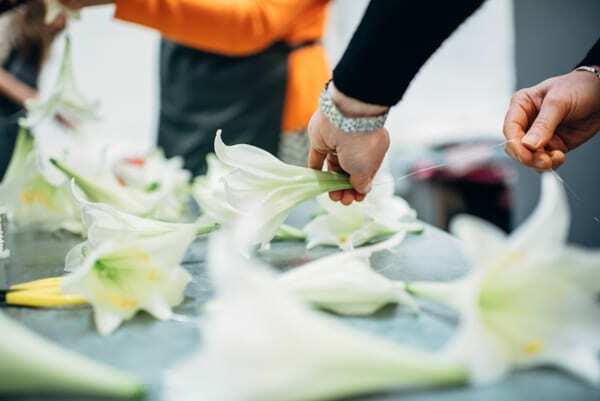 The first task was to cut the lily flower heads off the stems and remove the stamens. 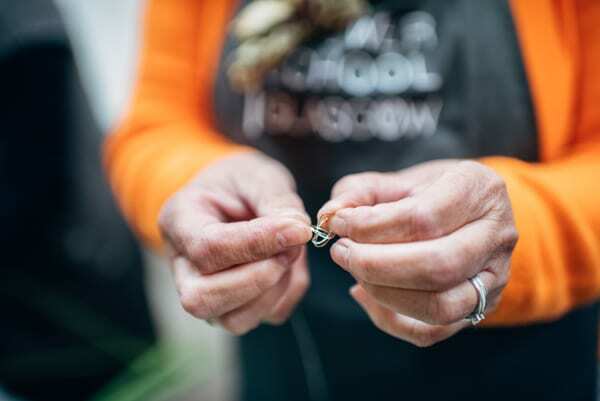 He then took a long piece of reel aluminium wire and scrunched the end into a knot. 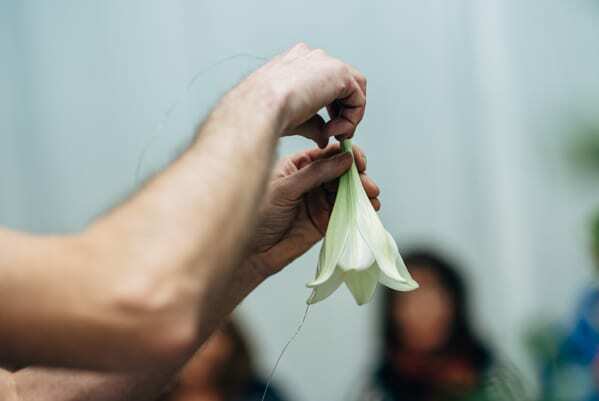 Next he threaded a lily flower head onto the wire. 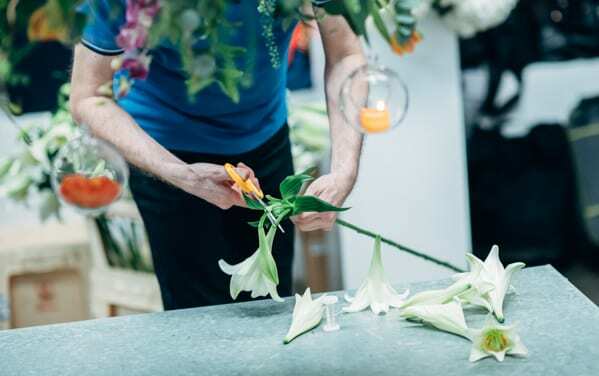 He repeated the process with another 6 flower heads. 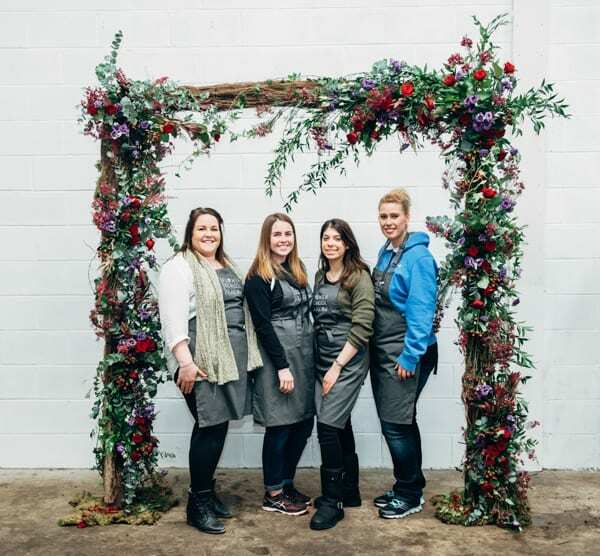 And here are all the finished designs! 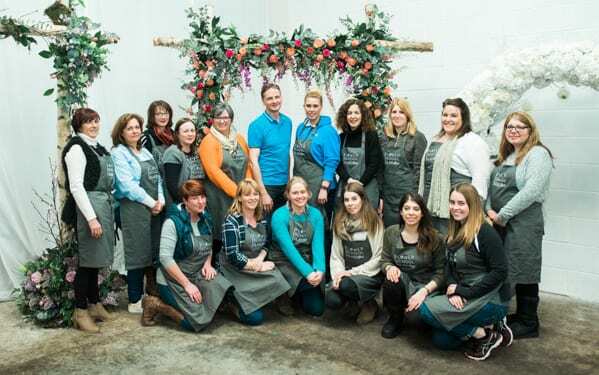 Thank you so much to Nick for inviting me to attend the course. 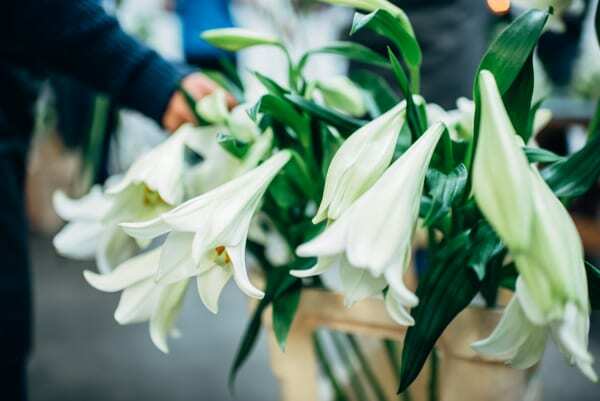 I had such a wonderful day! 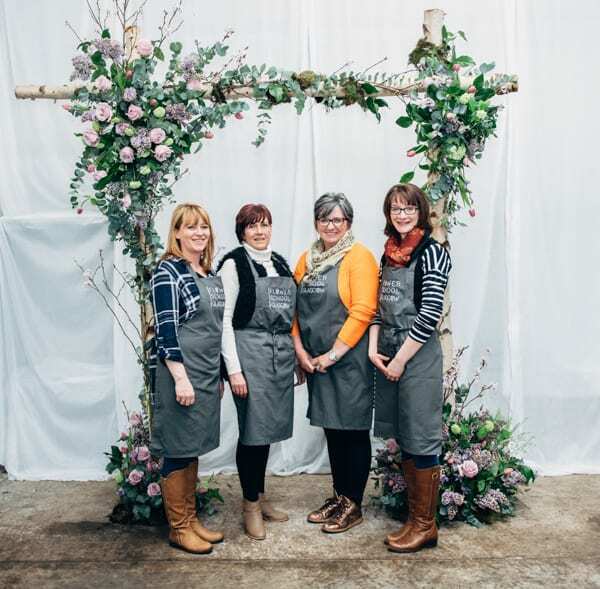 And it was so lovely to spend time with these fabulous florists from Scotland, England and Northern Ireland. 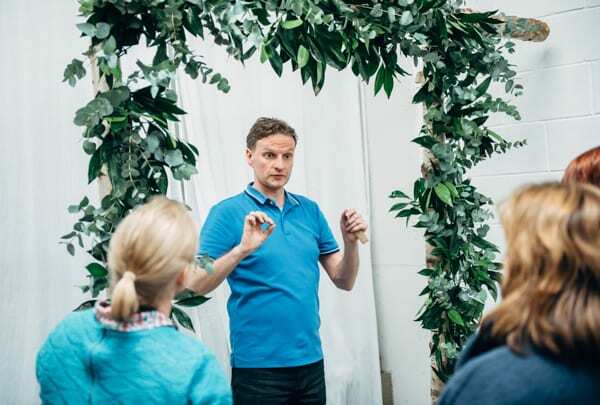 Nick’s holding the next one day Large Structures Courses on Monday 19th September and Monday 26th September. 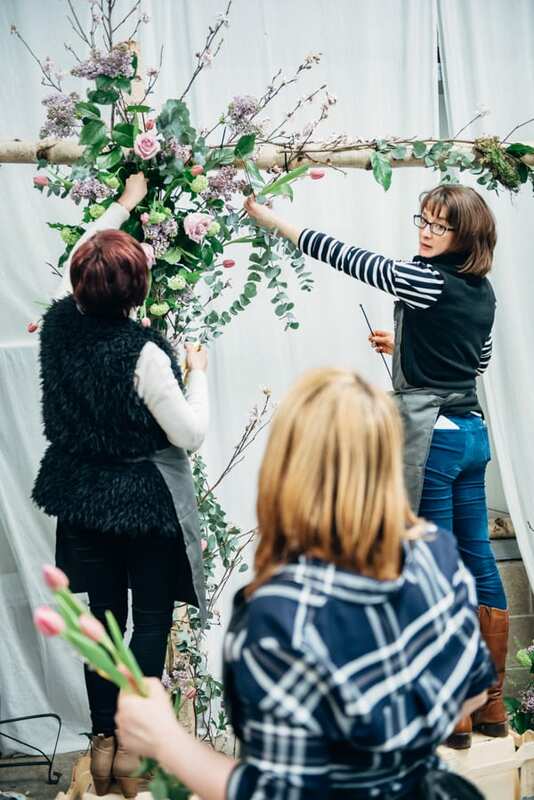 You can find the full 2016/17 timetable in the Flower School Glasgow section of the Mood Flowers website. 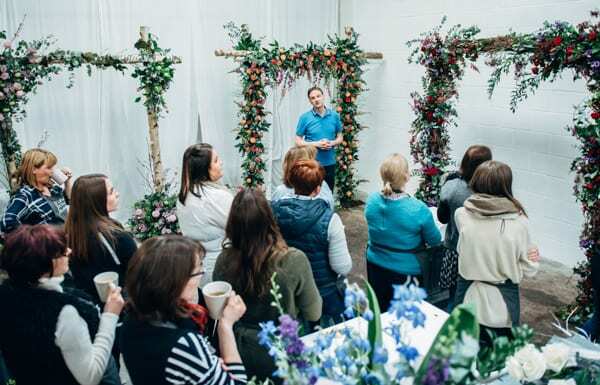 If you’d like further information or to book a place on the course, please send an email to nick@moodflowers.com or call 0845 362 0982. 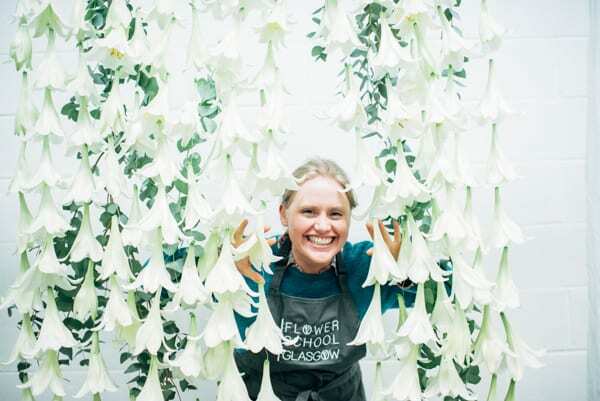 Social media wise, you can find Flower School Glasgow on Facebook and Instagram.